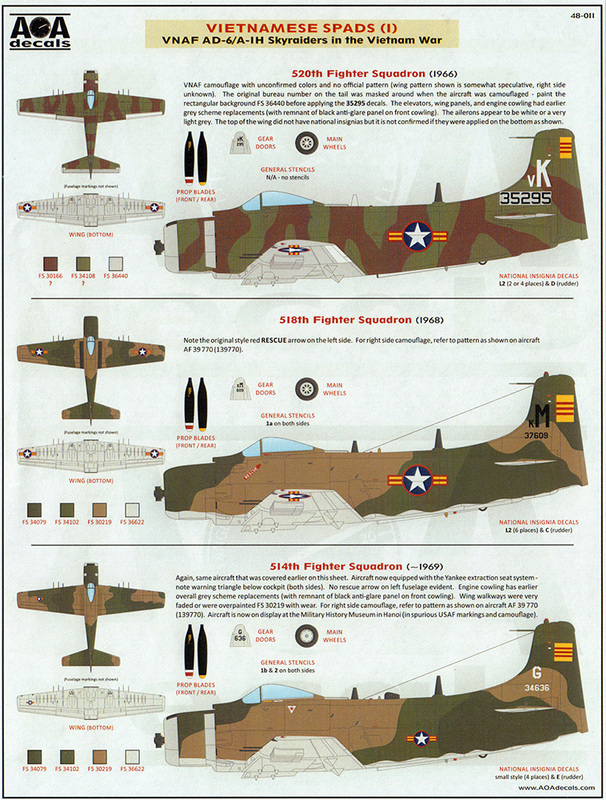 AOA Decals has returned with another interesting set of subjects for the Tamiya 1/48 AD-6/A-1H Skyraider kit. 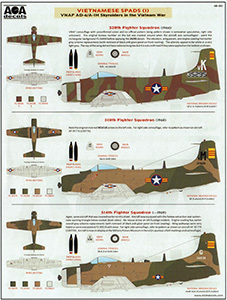 This set provides some colorful subjects in gray and various camouflage schemes. If you look at some of the dates above, you'll note that the South Vietnamese Air Force began acquiring the Skyraider in the early 1960s before the US had 'officially' entered the Vietnam war. Over the course of that war, the VNAF would acquire over 300 Skyraiders which equipped six squadrons. 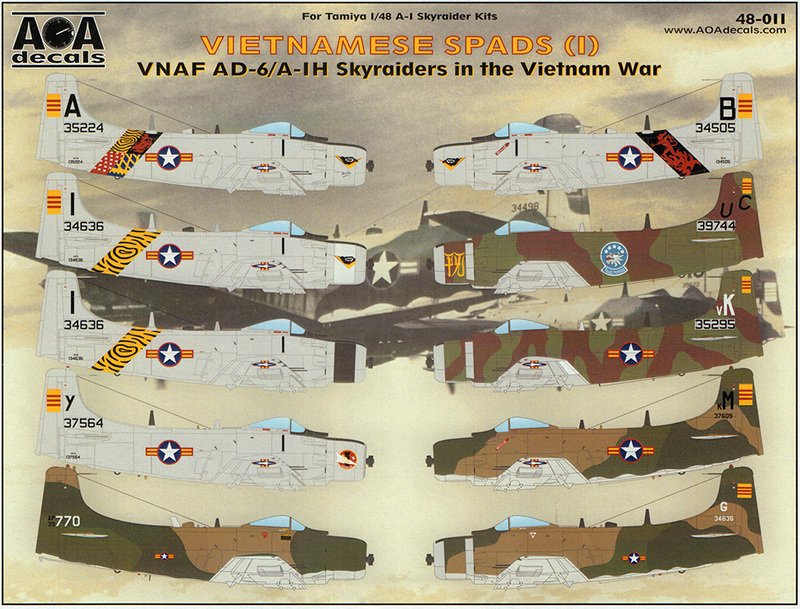 This decal set (part one) as well as part two provide a cross-section of Spads that operated over 10 years in that conflict. 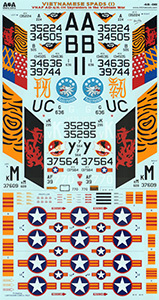 For more information about this set and the other releases from AOA Decals, visit their website at www.aoadecals.com. My sincere thanks to AOA Decals for this review sample!